This space has no shortage of texture. With a lucite coffee table, a pink velvet sofa, a “concrete” wall (spoiler alert: it’s wallpaper! 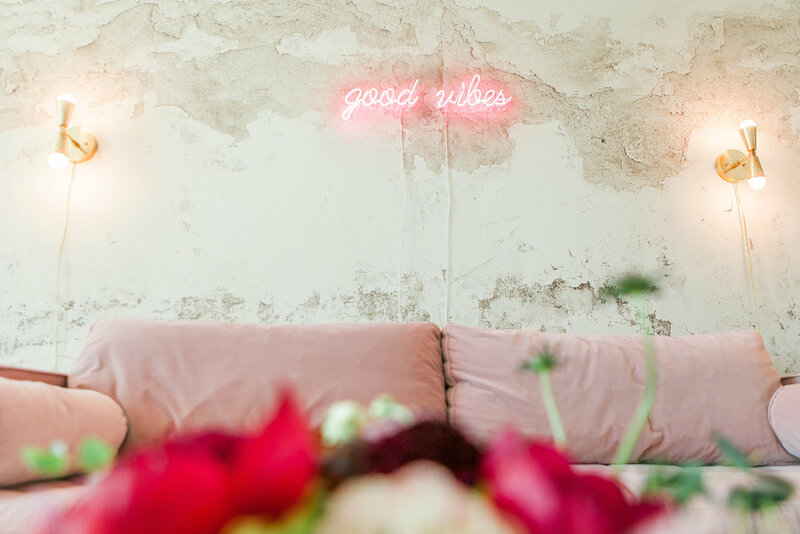 ), a custom neon sign, and a bit of brass - the space truly brings the “good vibes”. Just like they say you should dress for the job or the life you want, we think you should decorate for it too.